Nail design has become a popular affair among the majority of female in the world. Nail painting has evolved to a level that even 3D shapes can be made. 3D nail paint can be made by quickly applying a mixture of paints over the nails and then creating the shape you want before the paint dries. 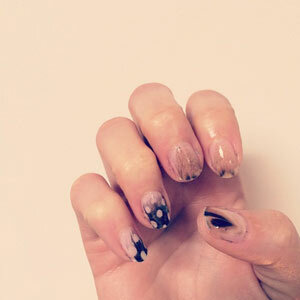 When making nail art designs such as drawings, each part of the design is made separately in advance before being put together and glued to the nail chip. Does it sound crazy? Get some coolest nail art designs and choose a design that can suit your nails. TroianBellisarios feather Mani is a super –cool design. Posted on instagram by her, the nail design looks unique, cool and fantastic. By no doubts, this design is among the coolest nail art designs.